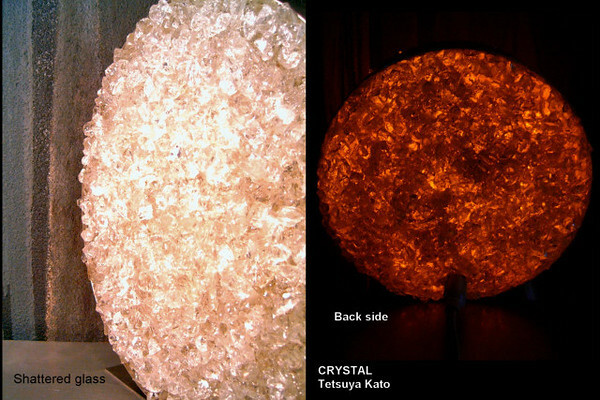 In terms of materials, there are two variants; the salt crystal and shattered glass. They can be made with both yellow LEDs or multi-colour LEDs. The backsides are also illuminated although with much less intensity. The colours are entirely due to the light from the LEDs, therefore, when they are turned off these pieces become colourless.